Why do I need to maintain my site so regularly? If you have a website that uses WordPress, i.e. 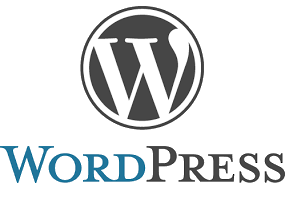 a site you can update yourself (even if you choose to have us do it), then you will know that WordPress, its theme and various plugins need to be kept up-to-date. In a nutshell updates are essential to prevent potential security problems such as hacking; also to make sure everything is working as well as it can. It’s a bit like having your car serviced regularly… or not. Unfortunately, clients sometimes ignore the update messages that WordPress shows them when they are logged in to their site. Then we get a panicked call that their site has been hacked, or that some kind of “oops” has made bits stop working. That’s when a client wants us to bring their site back straight away, but they never paid us to set up any kind of regular maintenance or backup system. For us, ongoing maintenance updates and any problems are usually relatively easy to sort out, but for clients these can turn into business stopping nightmares. It is also less labour intensive (and cheaper!) to be proactive, instead of reactive; certainly much easier to roll back to a working version of a site than it is to put things right after some calamity has occurred. Maintaining websites is tedious and technical, so let us do it for you. The Internet can be a dangerous place, so let us protect your site. Staying on top of the latest updates and security warnings is a job for a professional. We can help. For the record, major WordPress updates are usually rolled out twice a year, though minor updates roll out as needed. There are also updates for themes and plugins, which are much less predictable. Sites should have a backup plan that fits with their needs. A site with lots of content updates might want a database backup once a day at a minimum and a full backup weekly. Sites with fewer updates might not need such frequent backups, but you should still have regularly scheduled, full-site backups that are stored off-site. *The WordPress Maintenance Package doesn’t include updates to content such as text and images, only technical maintenance. For an extra cost we can also offer 5 hours of technical tweaks per month. This might be coding, design, writing, search engine optimisation (SEO) improvements or even training – whatever is required. Please ask for more details.